Short note to record this, as Google drew no hits on it. Windows XP machine with existing Oracle 11.1 client installation, all working fine. PATH is evaluated in order, left to right. Note that the 11.2 XE binaries are now listed before the 11.1 client binaries. So whilst the TNS_NAMES and ORACLE_HOME are still for the 11.1 client, it looks like I’m invoking the 11.2 binaries for tnsping and presumably ODBC driver too. Moving the path of 11.2 XE bin to the end of the PATH variable fixed the problem. Presumably also removing the 11.2 XE path would have worked. I don’t know if there are going to be other ramifications of changing this path variable around (presumably XE would start hitting 11.1 binaries?? ), but it fixed my immediate problem both with TNSPing and the ODBC queries. If you only read one blog post this month, read James Morle’s eloquent attack on the term “Best Practice”. I’m very excited to be joining RittmanMead next month! I’m looking forward to working with some of the industry’s most respected experts. In Oracle 11g, the DBMS_STATS procedure GATHER_SCHEMA_STATS takes a parameter ‘options’ which defines the scope of the objects processed by the procedure call, as well as the action. It can be either GATHER or LIST (gather the stats, or list out the objects to be touched, respectively), and AUTO, STALE or EMPTY (defining the object selection to process). GATHER EMPTY / LIST EMPTY is self-explanatory – objects with no statistics. GATHER STALE / LIST STALE is pretty obvious too – objects that have stale statistics (i.e. have had 10% change to them since statistics were last gathered). NB this 10% can be changed at an object/schema/DB level. However, the documentation is ambiguous as to the precise function of GATHER AUTO / LIST AUTO. There’s even a MOS note, “Differences between GATHER STALE and GATHER AUTO (Doc ID 228186.1)”, which strangely enough – given the precision of its title – doesn’t really explain the difference. “Oracle implicitly determines which objects” — ok, but how does it “implicitly determine”, what algorithm sits behind it? “Oracle[…]determines how to gather” — does it intelligently determine how to gather the stats for each object’s characteristics, or does it passively fallback to the defaults? There’s a difference, since one is a good starting point and the other would be in theory an ideal. Why does this matter? Because statistics matter so much, and so a stats gathering strategy that is accurate and efficient is important. We can only do this if we understand exactly what the product is doing. GIGO, and all that. GATHER AUTO automagically defines all the other parameters relating to how the statistics are gathered – method_opt, estimate_percent, etc. User-specified values for these parameters are just ignored. I’ve raised an SR to try and get proper clarification, and will update here if/when I find out. 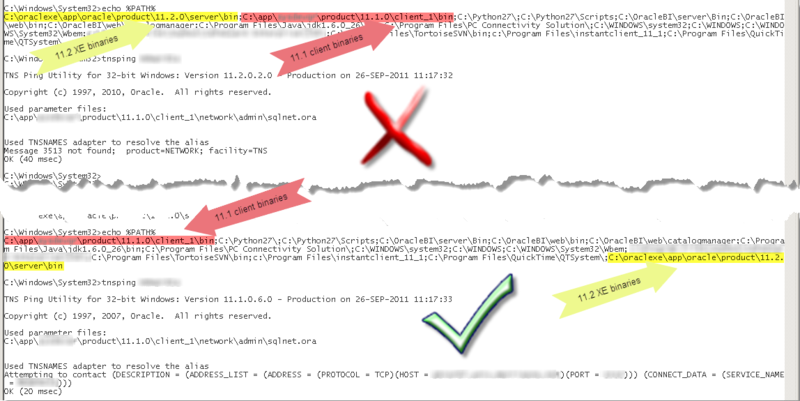 Note Doc ID 1073120.1 which details method_opt that will be used in GATHER AUTO. Finally, don’t forget that representative statistics != non-stale statistics. None other than Ask Tom points this out. Just because statistics are not “stale”, doesn’t mean that are representative of your data. You should always understand your data and make sure you’re giving the CBO the most accurate information you can about the data.